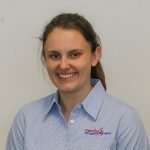 Emma joins the Flex Out Physiotherapy team after completing a Master of Clinical Exercise Physiology at Deakin University in Melbourne. Her areas of interest include helping to manage chronic conditions such as diabetes and heart conditions, as well as weight management and lifestyle modification through exercise. She aims to encourage health behaviour change and the use of exercise as medicine. She is passionate about making exercise achievable, enjoyable and part of a balanced lifestyle. Emma completed clinical placements at the Baker IDI Heart and Diabetes Institute in Melbourne and also in rehabilitation centres at hospitals in Ballarat and Wodonga. Emma enjoys playing netball and tennis and exploring the walking tracks of the Albury-Wodonga region.